Authentic Badgley Mischka Valentina Eyeglasses are brand name, designer optical wear. Whether it's business or pleasure, Badgley Mischka Valentina Eyeglasses frames are the perfect solution to your everyday vision needs. Utilizing the latest optical technologies, Badgley Mischka Valentina Eyeglasses apply up to date prescription designs, combining fresh designer fashion frame style with optimal vision functionality. Essential styling for everyday use. 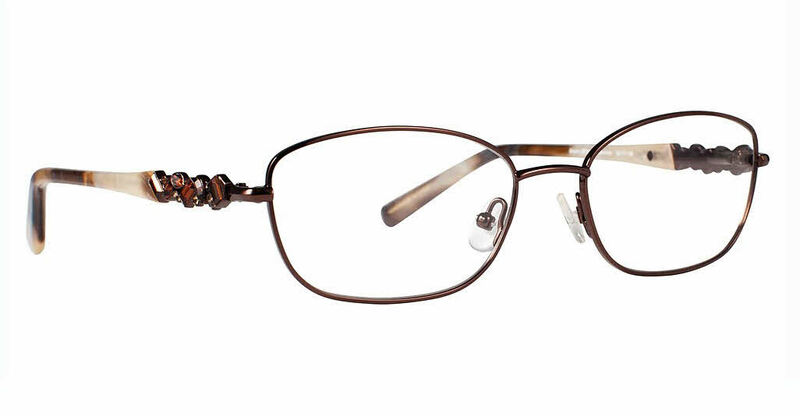 Badgley Mischka Valentina is a Full Rim frame for Women, which is made of Metal & Plastic. Badgley Mischka Valentina Eyeglasses come with a cleaning cloth and protective carrying case.